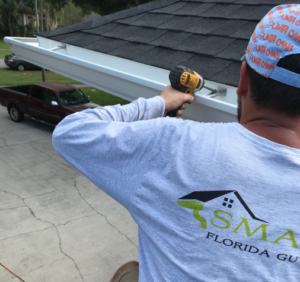 Smart Florida Gutters servicing Tampa, FL. 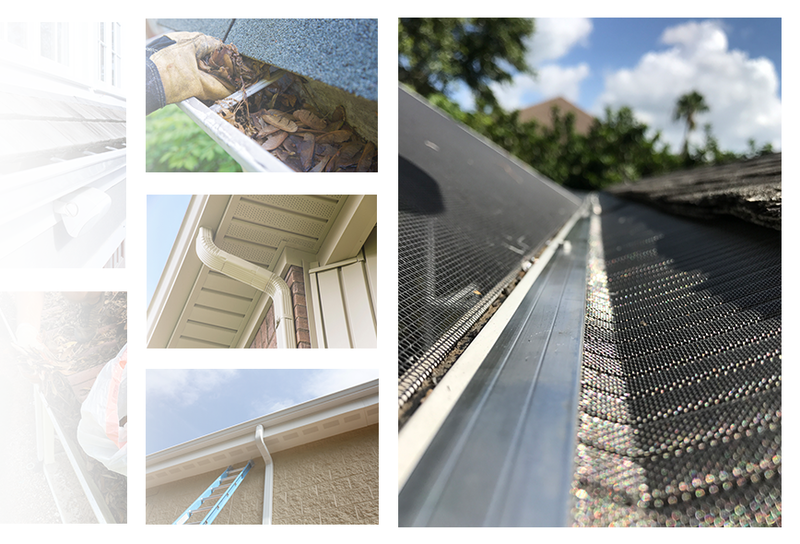 Gutter cleaning services in Tampa Florida done right! Surrounded by dazzling Atlantic Ocean waters, water is in the very identity of all Floridians, especially Tampa locals. However, one place water should not be is in your home’s structure. To prevent water from leaking into a home’s structure, gutters should be maintained regularly. 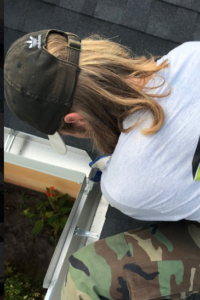 Gutter cleaning in Tampa, Florida and gutter repair in Tampa, Florida are part of routine maintenance for a home that cannot be avoided, put off or ignored by homeowners without risking serious damage to the home. Gutters extend over the eaves of a home’s roof to collect water, which then drains through downspouts located around the home. Designed to carry water away from a home, gutters are crucial in preventing water damage. While gutters collect water, they also fill up with debris from the outdoors that clogs the gutters and prevents gutters from disposing rain water. Debris can include branches, leaves, pine needles and even dead animals. Typically done twice a year, gutter cleaning Tampa, FL ensures gutters defend a home from water damage. Thus, gutter cleaning Tampa, FL is essential maintenance for gutters to function properly. Gutter repair services in Tampa Florida and the surrounding areas. When gutters are not routinely cleaned and water accumulates, the devastating damage can cause thousands of dollars of otherwise avoidable repair. With nowhere else to go, water overflows and runs down the side of a home. Eventually, water will seep behind the exterior siding, stucco, brick or stone to the foundation of a home. Not only does excess water within a home lead to water damage, flooding and mold, but it undermines the integrity of the home’s foundation. When water seeps to the soil beneath the home’s foundation, the foundation can shift, causing cracking. Thus, avoiding gutter cleaning can result in deterioration of a home from the foundation up. In addition, gutter repair is also vital for optimal gutter function. Gutter damage can be the result of numerous events: gutters which have not been properly cleaned may become engorged and heavy, shifting away from the home; old gutters may have deteriorated or developed holes in them; and strong storm winds can also damage gutters. Therefore, gutter repair is just as important as gutter cleaning to certify that a home is protected. Experts can efficiently and safely provide gutter cleaning and gutter repair. With a vast knowledge of the safety procedures, gutter cleaning and repair experts will safeguard your home from water damage. Do not risk your most valuable asset – call about gutter cleaning or gutter repair in Tampa, Florida today!